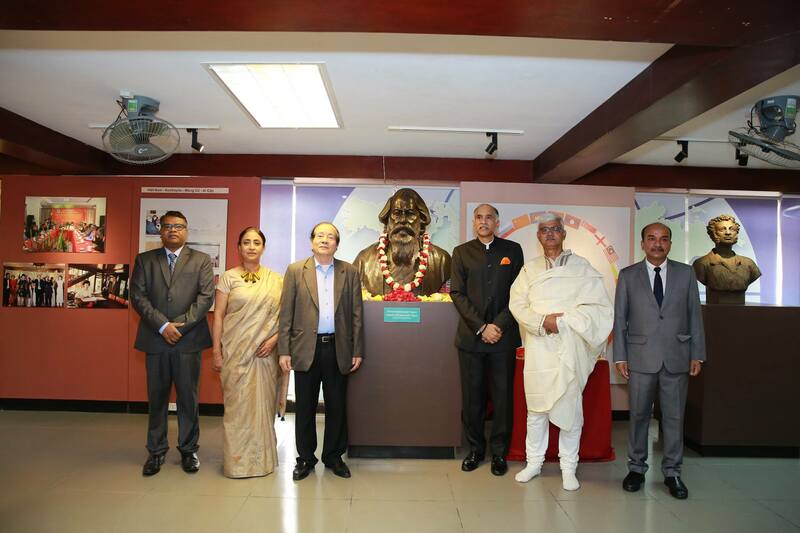 To mark the 90th Anniversary of the celebrated visit of Gurudev Rabindranath Tagore to Saigon in June 1929, the Embassy of India, Hanoi in coordination with Vietnam Academy of Social Sciences (VASS), Vietnam-India Friendship Association (VIFA) and Vietnam Museum of Literature organized a conference titled ‘Gurudev Rabindranath Tagore in Saigon @90’ on 29th March, 2019 in Hanoi. 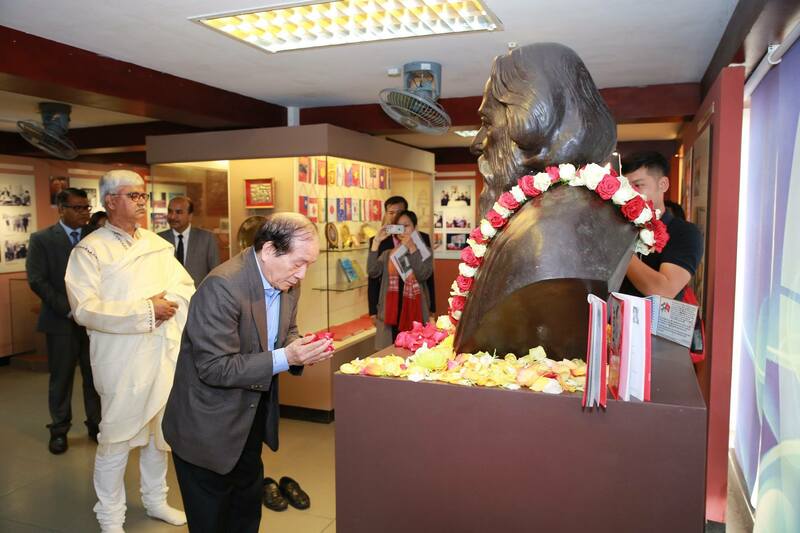 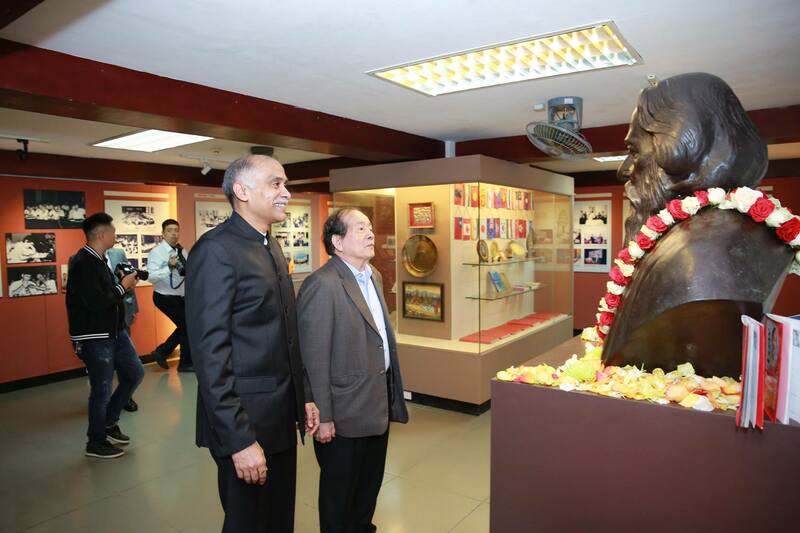 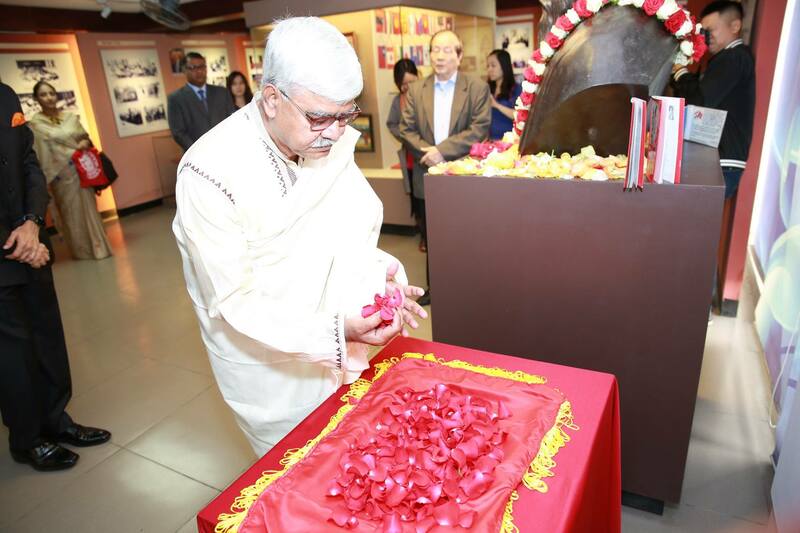 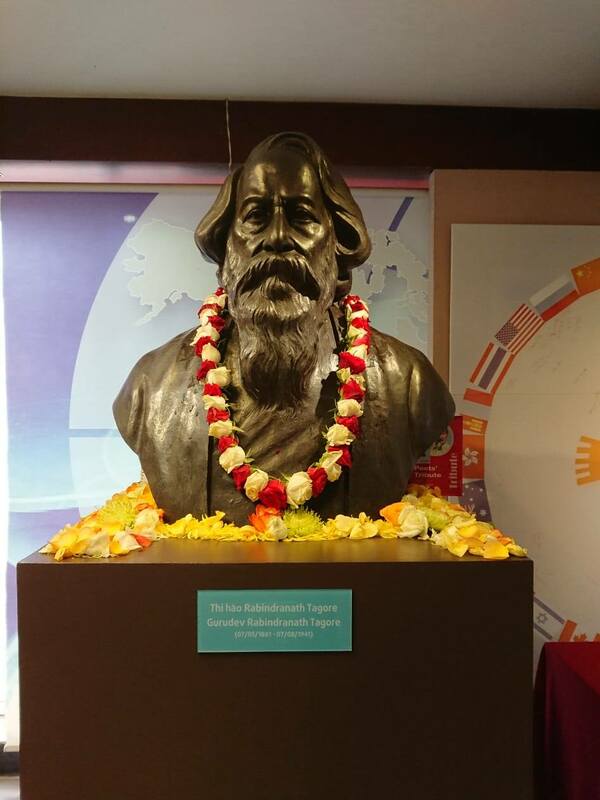 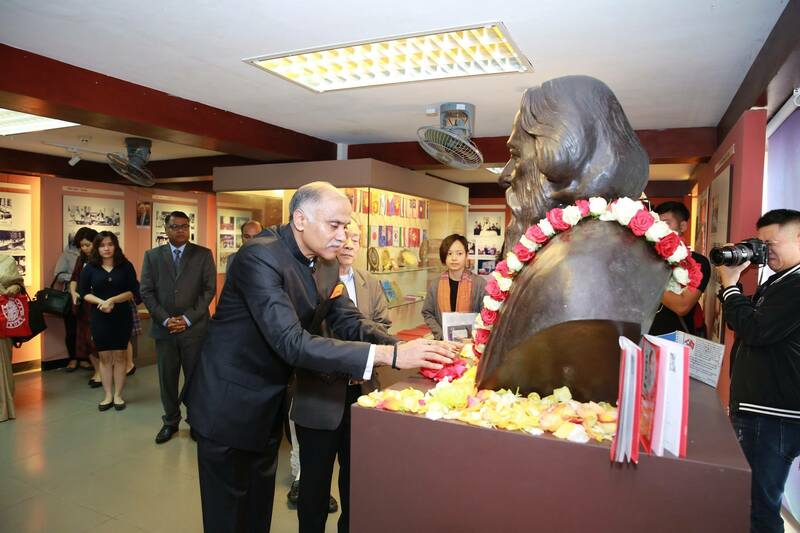 There was a floral tribute ceremony at Vietnam Museum of Literature which has a bust of Gurudev Tagore. 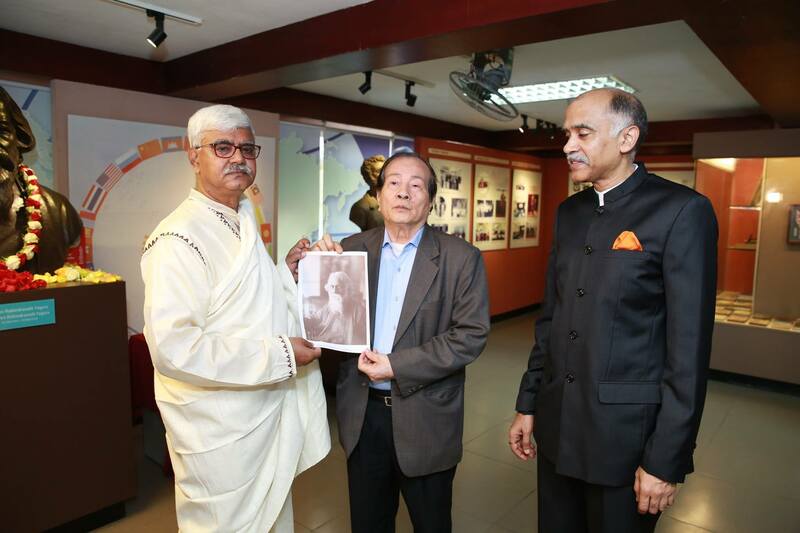 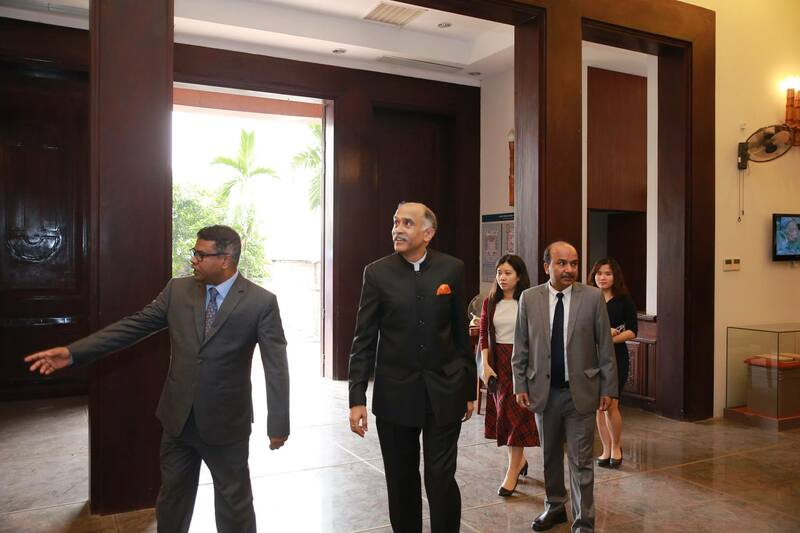 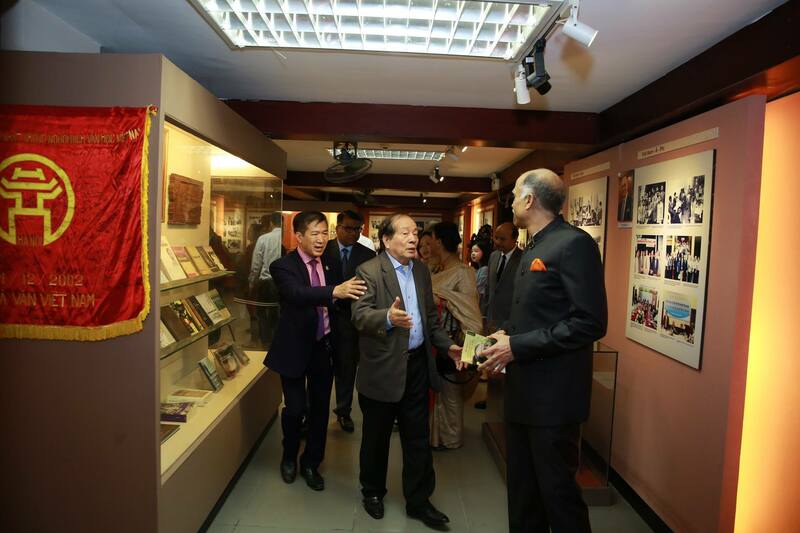 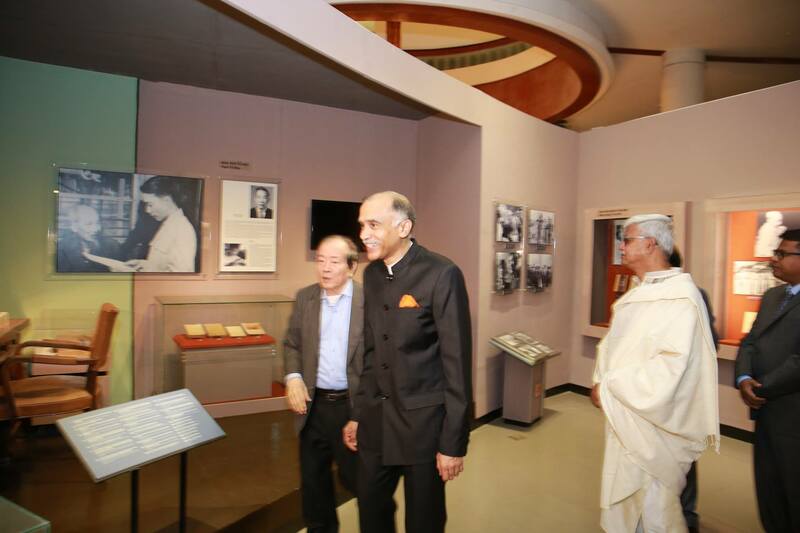 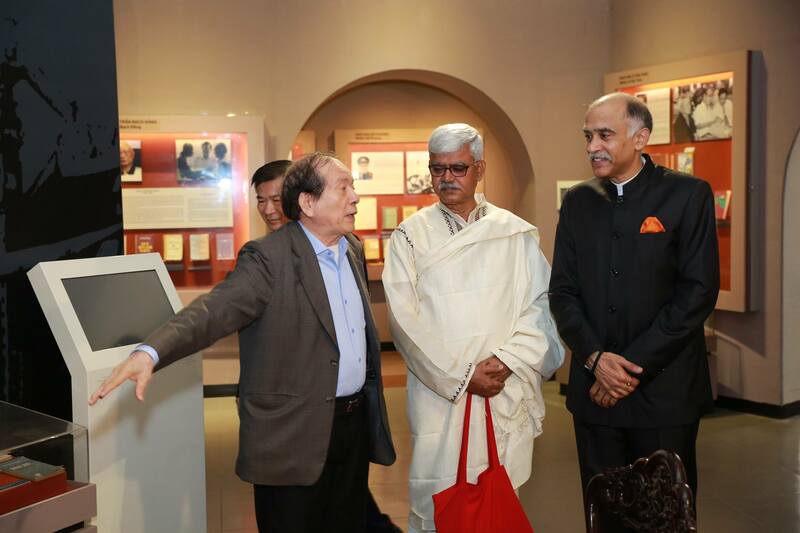 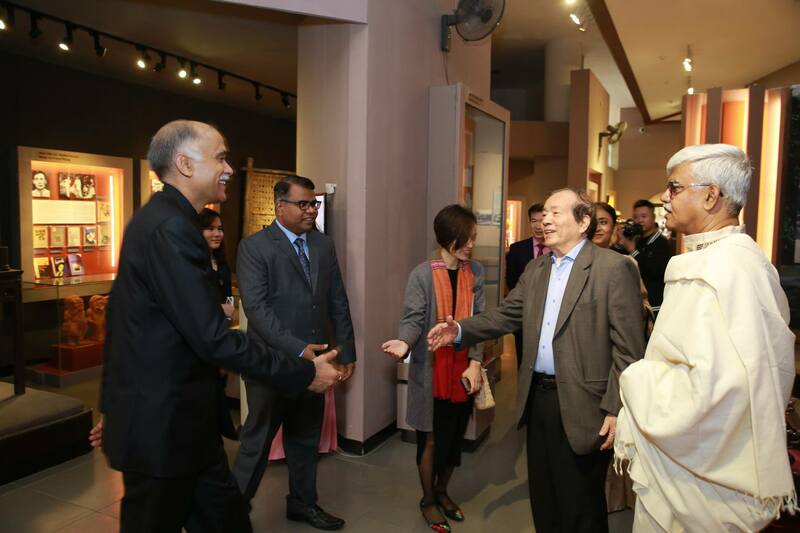 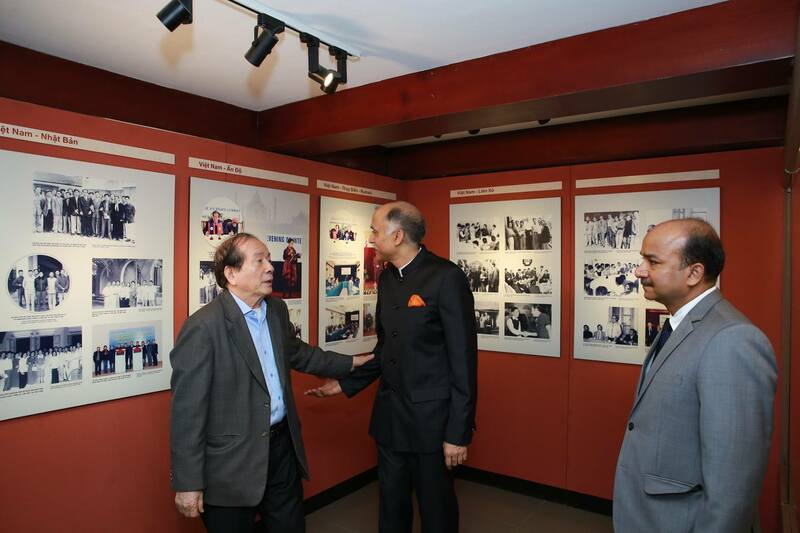 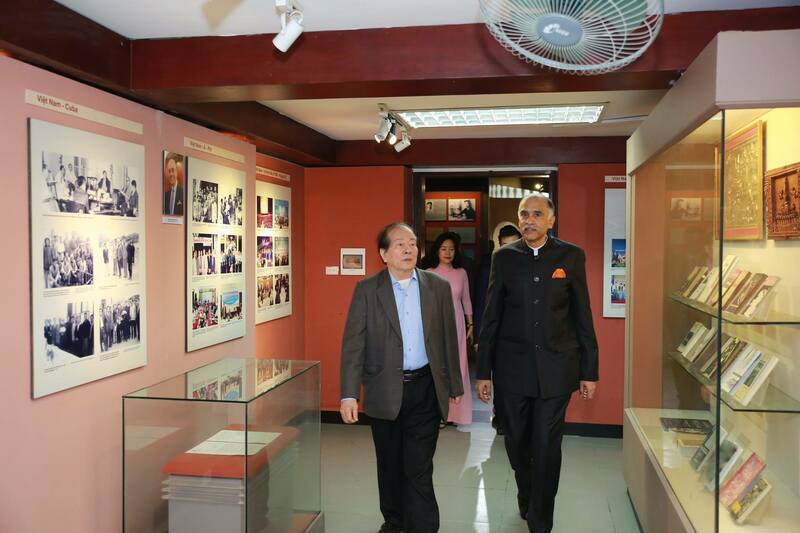 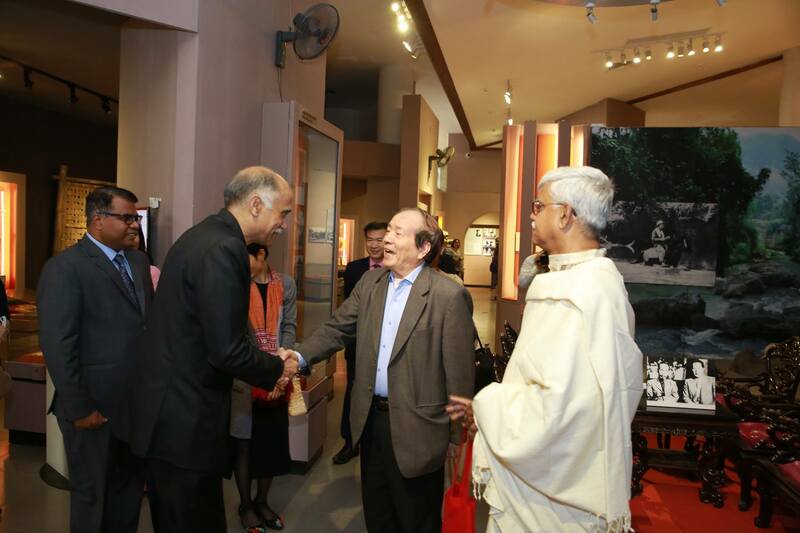 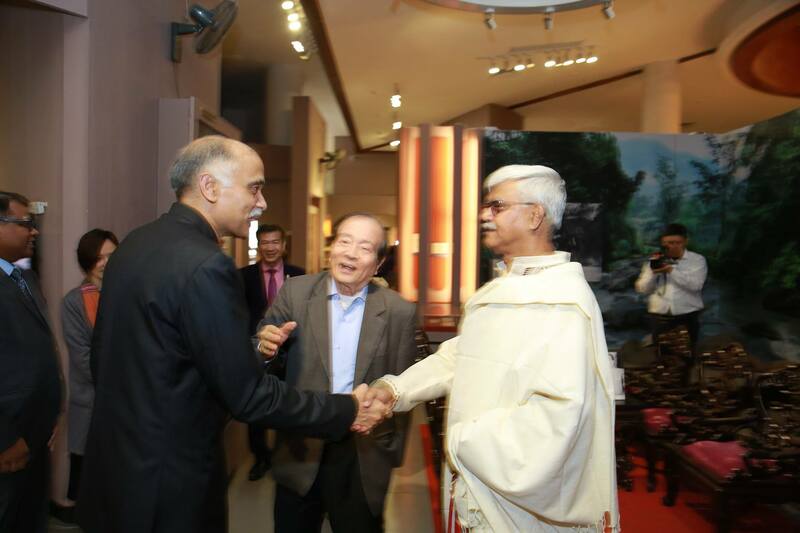 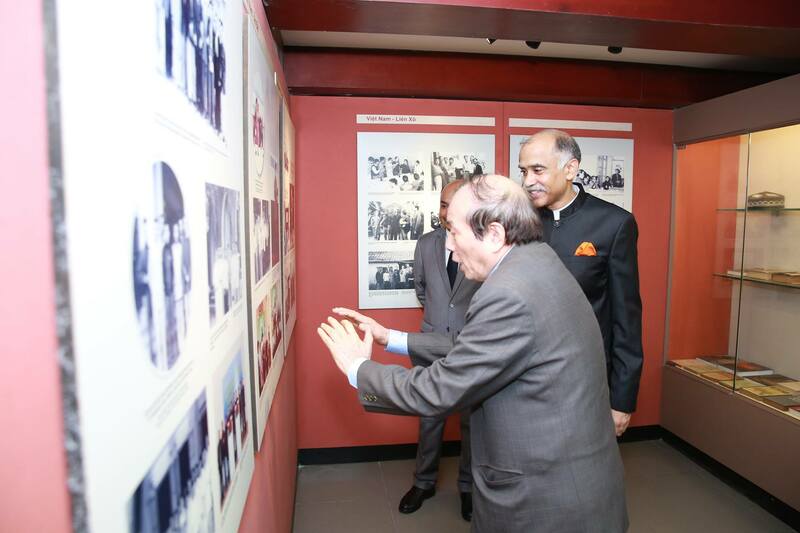 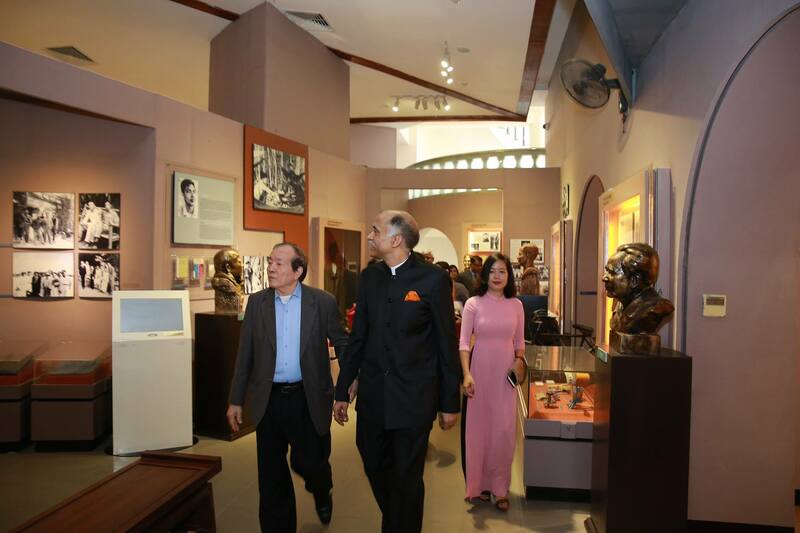 Mr. Huu Thinh, Director of Vietnam Museum of Literature and a renowned poet, welcomed Ambassador P. Harish. 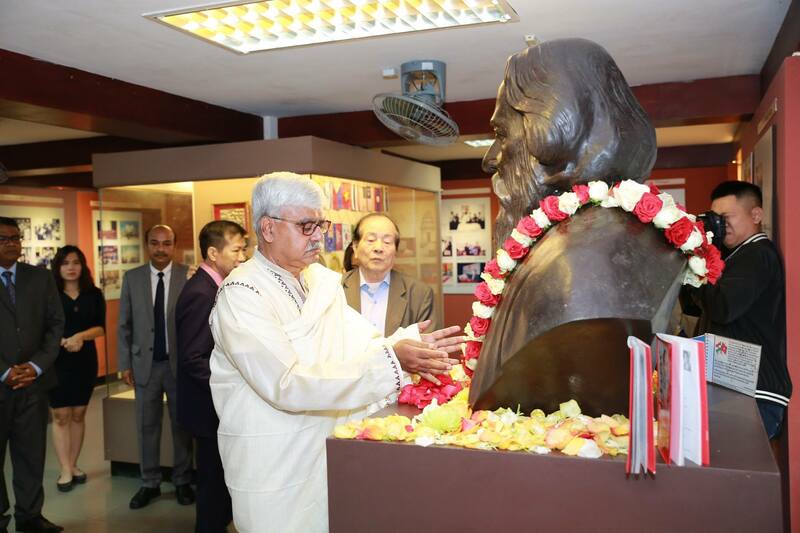 They, along with Professor Bidyut Chakrabarty, Vice Chancellor, Vishwa Bharti University, Shantiniketan, offered floral tribute to the bust of Gurudev Rabindranath Tagore. 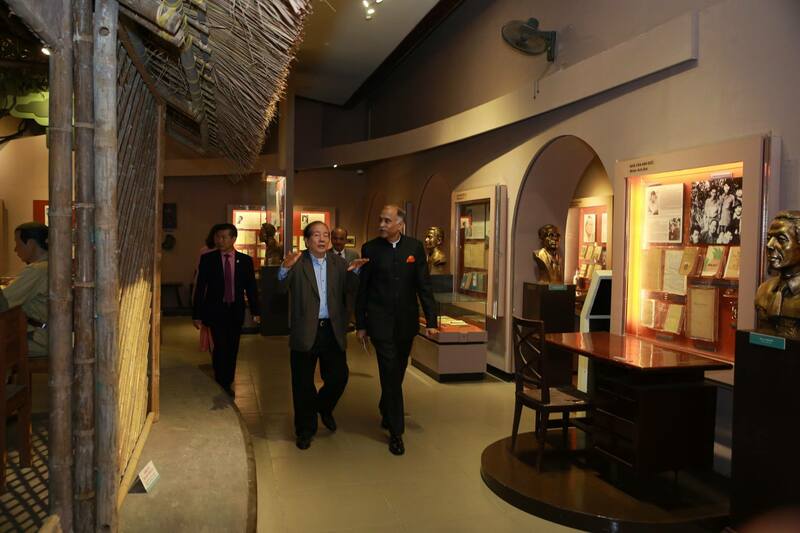 This was followed by a tour of the museum.